A devastating fire engulfed Notre Dame Cathedral in central Paris on Monday afternoon, burning the roof of the famed medieval Catholic church and causing its 90-meter spire to topple. French media reported the fire was under control by the early hours of Tuesday. Authorities claim the main body of the cathedral -- one of the most visited historic monuments in Europe -- and numerous cultural assets were saved. The 12th-century Gothic church was undergoing renovation. Investigators said the fire may have started in temporary scaffolding on the roof, although the cause is yet to be determined. 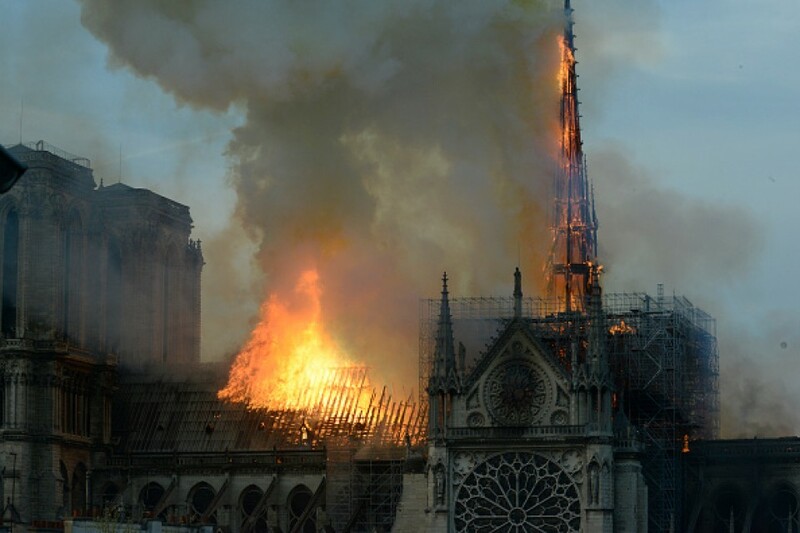 Media video footage showed flames and black smoke billowing above the roof of the cathedral, leaving passersby stunned. French President Emmanuel Macron canceled a planned address to the nation before visiting the scene to pledge that the tourist hotspot, which draws 13 million visitors a year, would be rebuilt. He said he would seek international cooperation to raise funds for the project. Francois-Henri Pinault, the chairman and chief executive of luxury goods group Kering, which counts Gucci and Yves Saint Laurent among its brands, has pledged a donation of 100 million euros ($113 million). 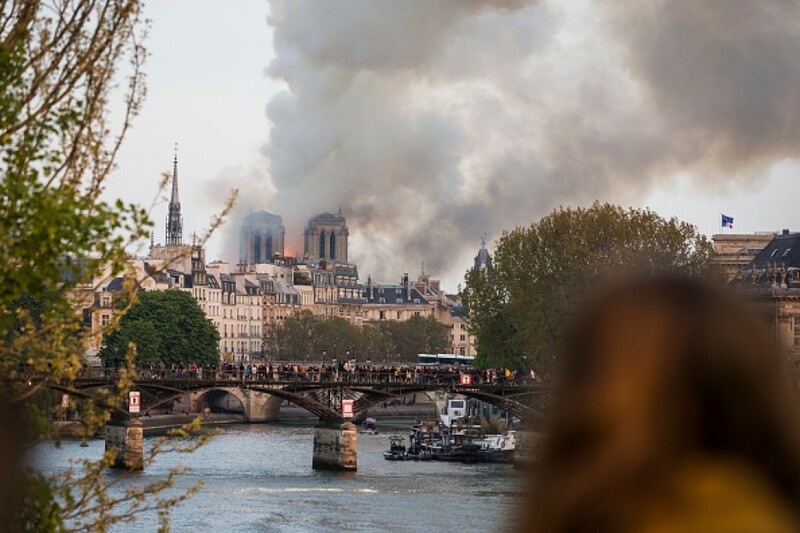 Paris Mayor Anne Hidalgo expressed her sorrow at the "terrible fire," according to France 24, while the Vatican said in a statement it was shocked and saddened by news that a symbol of Christianity, not just in France but all over the world, has been badly damaged. European Commission President Jean-Claude Juncker conveyed his grief over the disaster in a Twitter post, stating the cathedral belonged to everyone. U.S. President Donald Trump also tweeted, "Perhaps flying water tankers could be used to put it out," adding, "God bless the people of France!" Visitors and locals watched the blaze from the Place du Chatelet across the River Seine. One of the tourists expressed sadness at the disaster, comparing the cathedral to the soul of the French and Catholics. The church is a World Heritage Site and among the most famous landmarks in Paris. The number of visitors surpasses that of the Louvre Museum. The cathedral sits on a small island in the River Seine, with construction beginning in 1163. It was completed in 1345, and witnessed numerous historical moments including vandalism during the 18th-century French Revolution and the coronation of Napoleon Bonaparte in 1804. The church was also the setting for Victor Hugo's novel "The Hunchback of Notre-Dame," prompting major restoration work after the book's publication.